The Roastery of Cave Creek is celebrating 20 years in business. 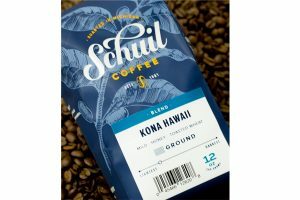 The Roastery’s coffee is poured at the best restaurants and resorts across Arizona and production has jumped by 40% with the recent addition of a new roaster. The Roastery of Cave Creek’s origins date back to 1996, when after relocating to Cave Creek, Arizona, in 1996, David Anderson decided to start a business in the small mining town, located at the north edge of Scottsdale against the backdrop of the Tonto National Forest. He decided on a coffee shop. In 1997, Cave Creek Coffee Company, or as locals called it, C4, was born. Within two years, C4 grew to add a wine bar, a 200-seat music venue and a reputation as a favourite north Valley hangout. From the start, Anderson knew he wanted to roast his own beans and control the taste and freshness. Roasting on a small three kilo Dietrich roaster, he experimented with roasts for his own shop. Favourite blends, notably Black & Tan, Cowboy and Cowgirl, gained in popularity, and other Arizona restaurants and coffee shops began asking him to roast for them. After ten years, Anderson sold C4’s retail business and real estate in 2007. However, he held onto his wholesale business, which by this time was supporting a number of regional accounts. 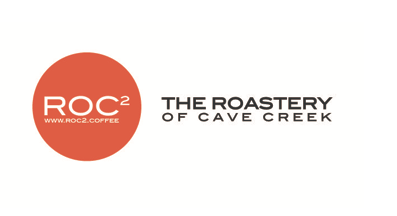 The Roastery of Cave Creek, or ROC2 as it’s called, is the name of Anderson’s wholesale business. Anderson and his wife Alison moved their operation up the road to a larger roasting facility in 2012 and have expanded their roasting operation to include three roasters: a 12-kilo Probat, a 35-kilo US Roaster, and the most recent acquisition—a custom 25-kilo UG Retro 22 roaster from a specialised division with in Probat, only the sixth one in the US. Combined, ROC2’s annual roasting capacity is now around 750,000 pounds. The Andersons’ ever expanding wholesale operation now features 20-plus single varietals and proprietary blends. All coffees are organic, roasted weekly for freshness and yield a balanced, full-bodied, rich, smooth cup. 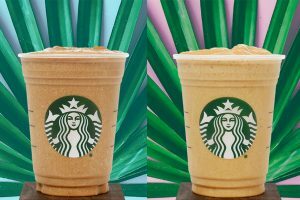 They also have directed their attention to their rapidly growing nitro and cold brew operation, developed in 2015 in response to urging from Whole Foods. Anderson travels the globe as frequently as possible to source his beans directly from farmers. He has direct trade relationships with farms in Africa, Indonesia, Central America, and South America. In addition to selling their beans to restaurants, grocers and direct to consumers, the Roastery of Cave Creek also operates a coffee consultation business helping restaurants and cafés develop their beverage programming, menus and store design. For his wholesale coffee accounts, he provides batch brew and espresso equipment, maintenance and training. 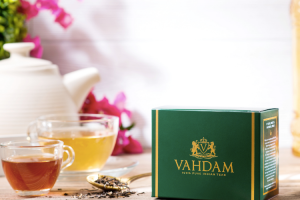 He also warehouses and distributes a select set of teas providing his customers with a full brewed beverage program. For more information on The Roastery of Cave Creek, visit www.roc2.coffee.